Sl Roadster Class R129 - The "Ockhuisen" Mercedes-Benz Collection. 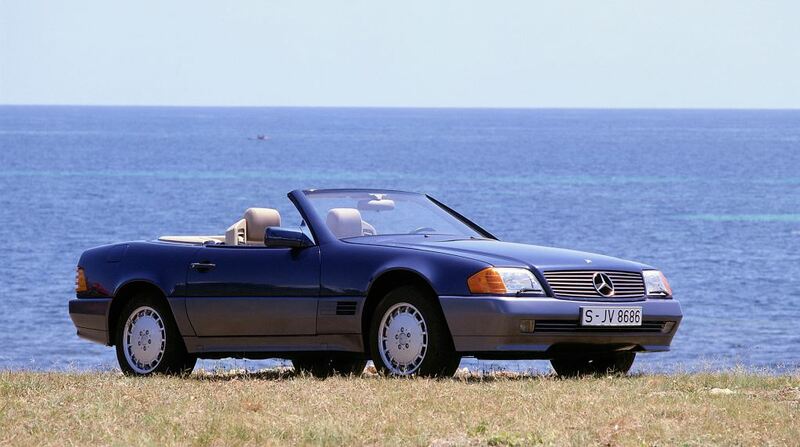 The world premiere of the new 129 series SL in March 1989 belonged to the main attractions of the Geneva Motor Show. The new types 300 SL, 300 SL-24 and 500 SL showed no common features with their preceding models except for their overall concept. Just like 18 years before, when the 350 SL demonstrated a great number of innovative construction details in automotive progress, the 129 series SL now also was a completely new car. The new SL generation convinced by a harmonic and very successful stylistic shape. It expressed dynamics, sportiness, but also comfort and elegance. On the one hand, the design presented itself traditional, on the other hand, its new solutions of many details looked far into the future. Thus, for instance, the radiator grill, the legendary trade mark of the SL models, had been newly interpreted on the basis of remaining traditional shapes. 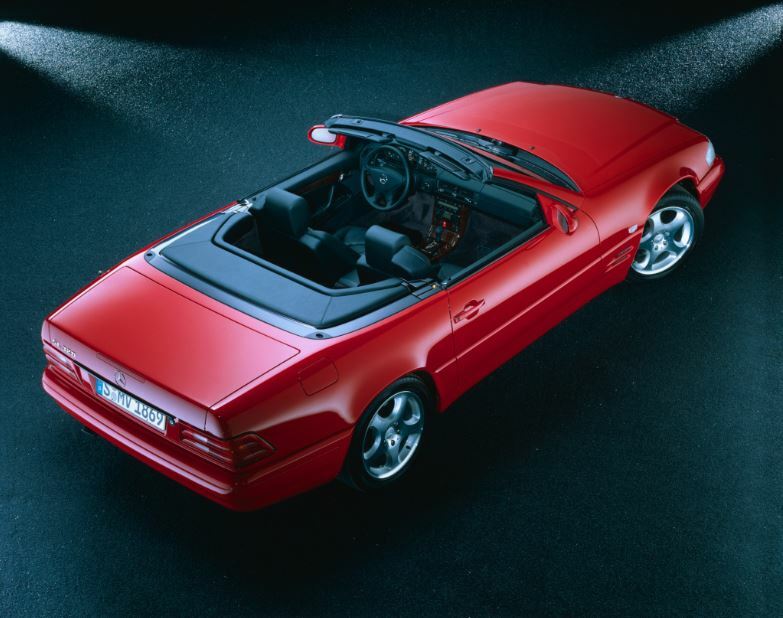 Mercedes-Benz SL-Roadster, Baureihe 129, Studioaufnahme, 1989. 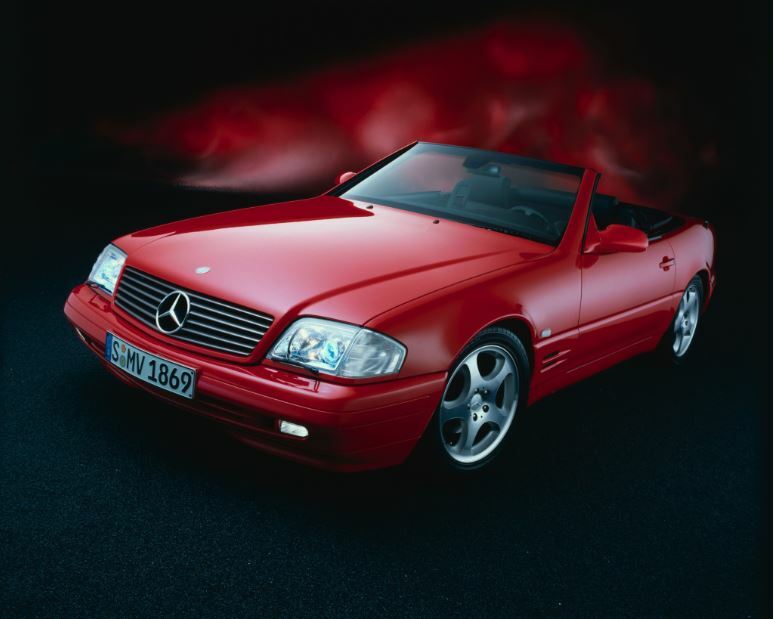 Visually and technically refreshed SL models were showcased at the Frankfurt International Motor Show in September 1995. The facelifted variants featured modified body styling, more comprehensive standard equipment and optimised engineering. 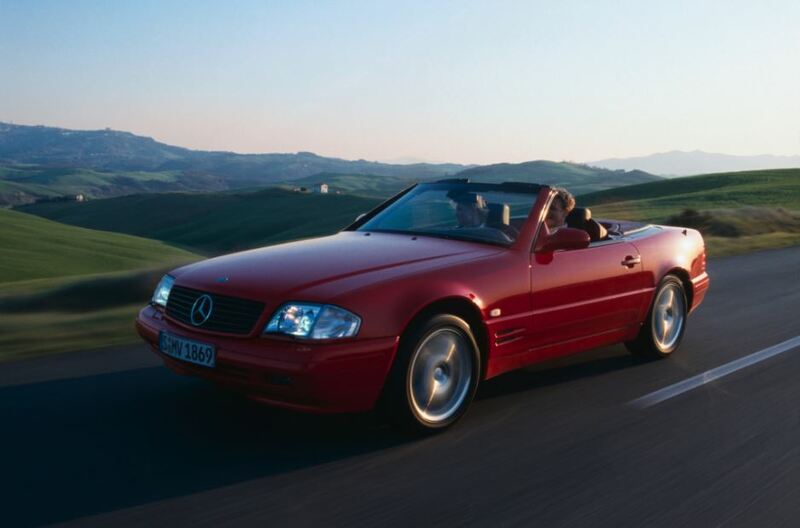 In April 1998 at the Turin Motor Show, an updated SL range was presented featuring newly developed engines and a subtly revised design. The most significant refinements included the introduction of a new generation of V-type engines with six and eight cylinders to replace the six-cylinder in-line engine featured in the M 104 series and the M 119 series V8-unit. 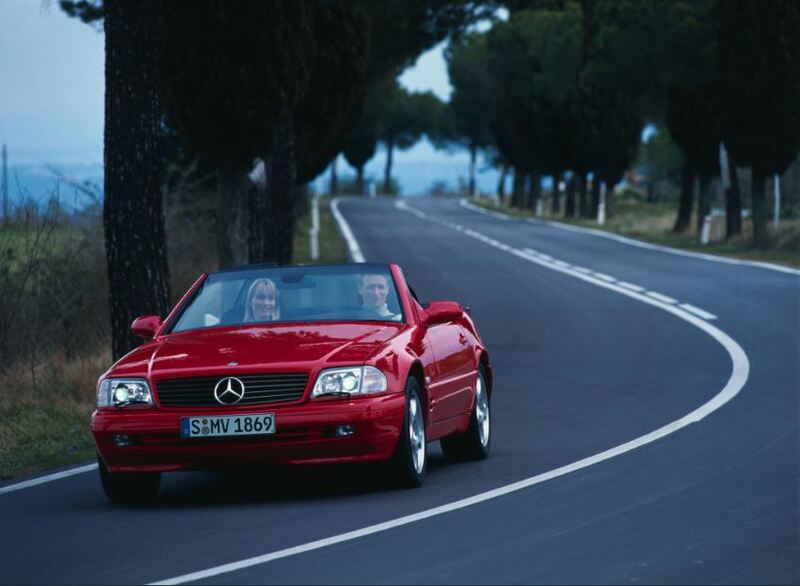 After the 1998 facelift: the Mercedes-Benz SL 280 from model series R 129 (1989-2001). The design of the SL has not been radically modified. The aim of the subtle touching-up was to give the sports car an even more dynamic appearance. This was achieved by slightly altering the rear end, a smooth-lined, now three-rib unit covering the new monochromatic tail lamp lenses. Ownership of R129 in the year 2017 truly is a possession to be treasured.